5 Paths to a better relationship. Path to a better relationship. Do these things to help create a good relationship. Couples relationships start off headed in the direction of bliss and somehow, for so many, they end up in the pit of suffering. How did your relationship get so far off track? If you’re not sure you may need to take a look at the Relationship Destroyers and see how many of these you are practicing. But regardless of how your relationship got off track, are you ready and willing to take some steps to get headed in the right direction again? It is easy to slip into blaming your partner, while blame may feel good in the moment it won’t change anything. If you are thinking you want to see some changes, consider what changes you want to see and how willing are you to do the work to get this relationship headed in the right direction. Think of relationships like moving a couch. Really hard for one person to move it very far or fast. But two people together can get the job done. So if you feel like your partner has put their end of the relationship couch down you may need to pick yours up first to help them get willing to make some moves again. 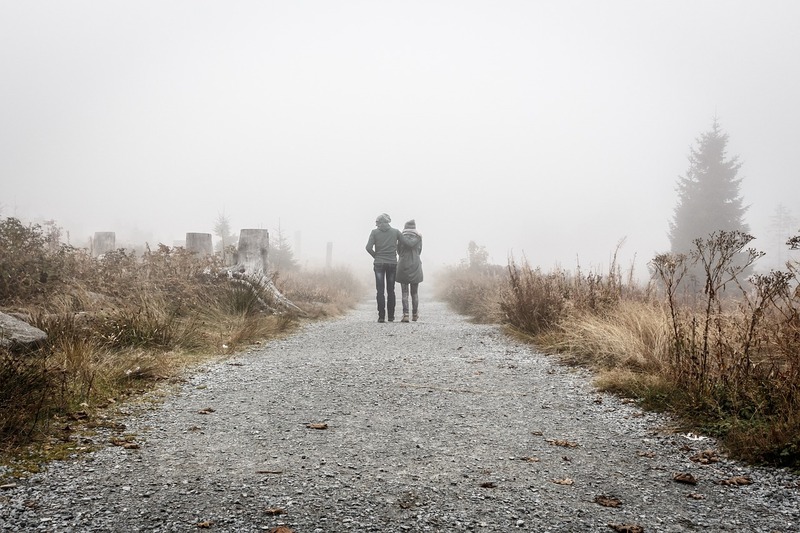 Here are five paths you could consider that may lead to a better relationship. Good relationships require investing time. Spend time together if you want to be together. When you first became a couple the two of you spent every moment possible together. Then along the way life happened. You get busy with jobs, children and all kinds of outside commitments. Eventually, you had to reestablish your separate life. You had to start doing more and more things without your partner around. Eventually, you look up and wonder if you two have any interest in spending time together. For couples to stay close they need to invest some of that precious time in the relationship. Figure out where you are going. What do you really want out of this relationship? Initially, the goal of couples is mostly just being together. Most couples never think about what they want from the relationship beyond the together part. Time goes by and then what happens? You start to wonder now that you are together why aren’t things perfect? Children often happen so does work, family and other commitments and the goal of being a couple may get forgotten. You wonder about those dreams and values you had before the couple thing came into your life. Are you two on the same page now? What is important? Religious values, or money and things? If you didn’t explore your goals and values during the early stages now is the time to do it. Now is always the time. Have that talk about where you see your life going. Do you see yourself being together as old retired people? Or are you only staying together or the sake of the children? How would you know if this was a good relationship? Does that mean the same thing to both of you? Shared goals and values is a pathway to a good relationship. When your relationship is not working try a new path. What are you willing to change about yourself and this relationship to make this work? Do you know any happy couples? What do they do that you are not doing? Is this relationship worth putting some work into? Would any relationship? Before you jump to the conclusion that you need to end this relationship and look for someone new think about what brought you and your partner together in the first place. Are you willing to try again with the partner you have already invested so much time and emotion with? Clean your own wreckage out of the way. For many couples the reason things are not going well is because of the unfinished business of childhood, that baggage you are still carrying. How much baggage do you have? Are you willing to work on you to make this relationship successful? Or do you still expect your partner to supply all the missing parts for your emotional life? No partner will be able to always meet your needs. You need to learn how to meet those yourself and then see how together you can create something that is better than either of you would be separately. What price are you willing to pay for a good relationship? What will you do or give up to have this relationship? The highest prices we pay in life are the things we buy with time and sacrifices, not the things that cost us money. Can you accept that you are wrong some of the time? Are you willing to go along with things your partner wants to do even when they make you uncomfortable? Many people discover that the things they enjoyed about their partner when they were dating scare them after they become a couple. Does that exciting person now seem irresponsible? Does that confident person now seem controlling? Try being more accepting and open to new experiences the way you two were when you first started out together and see if that is not a path back to that relationship you once had. Just know that no one gets back to exactly where they began that relationship, what you want is to find that happy place you once were at, only a little farther down the road of life. Plan on growing together. Those are some ideas for new directions you might take your relationship as a way to make it better. Have you found any other ways to create the relationship you want? This entry was posted in Couples Therapy and tagged better relationship, couples relationships, improving your relationship, Love, relationships, Romance by David Joel Miller. Bookmark the permalink.